Potomac Canoe Print 8.5" x 11"
Own a limited edition print (1/100) of my original painting "Potomac Canoe". 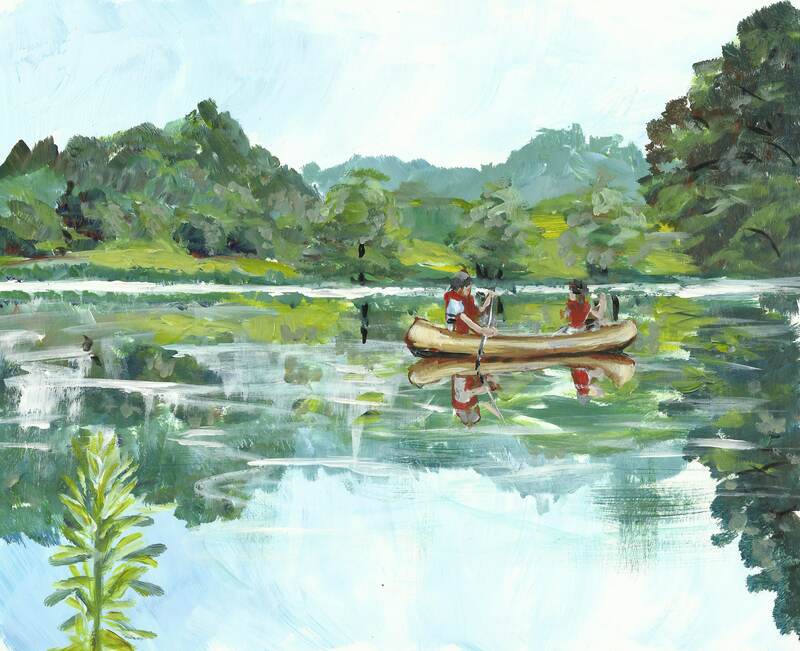 It depicts a lazy afternoon canoe outing on a serene stretch of the Potomac River, in Virginia. 8.5 x 11 inches. Ready to mat and frame. Signed and numbered on the back.